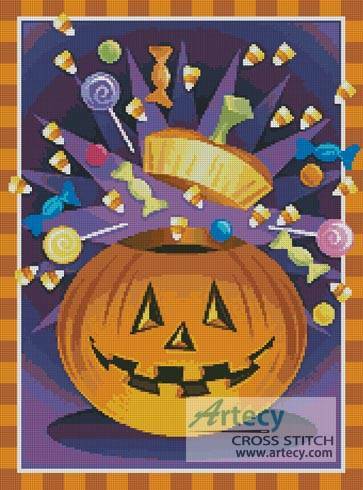 Jack O' Lantern cross stitch pattern... This counted cross stitch pattern of a Halloween Jack O'Lantern was created from an image copyright of Liquid Library. Only full cross stitches are used in this pattern.